Beagle’s latest collection of short stories includes 13 fantasy gems and features many previously uncollected and never-before-published works. 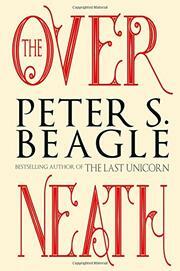 Highlights include a couple of stories about one of Beagles' most beloved characters, Schmendrick the Magician from his iconic novel The Last Unicorn (1968). A coming-of-age tale of sorts, “The Green-Eyed Boy” offers a glimpse into the bumbling magician’s inauspicious beginnings, when the wizard Nikos took him in as an apprentice. Nikos sees potential in the shy boy but soon realizes his student’s unparalleled ineptitude could have deadly consequences. In the never-before-published “Schmendrick Alone,” the magician, newly released from his service to Nikos, attempts to heroically defend a young woman from an unwanted suitor—with disastrous results. “My Son Heydari and the Karkadann” is another remarkable story, chronicling a young Persian man’s attempt to nurse a dangerous mythological beast back to health; as is “Kaskia,” a poignant love story about a lonely man who buys a strange laptop that allows him to video chat with a beautiful alien. “The Queen Who Could Not Walk” is set in a world where the rulers must, at some point in their reign, exchange their bejeweled crowns for a beggar’s bowl and live out their lives in poverty. The story follows a crippled queen-turned-beggar who has her life saved by the unlikeliest of people. Two aspects of this collection stand out: the impressive diversity of stories (from interdimensional trips with novelist Avram Davidson in “The Way It Works Out and All” to the supernatural horrors in a fish tank in “The Very Nasty Aquarium”) and the philosophical and thematic profundity of each story. Even in the most whimsical of tales, there are kernels of wisdom to be found. A masterful collection from a short story master—a must-read for Beagle fans.